Many times, it is a little complicated to understand how the process of surrogate pregnancy takes place. We want to tell you how the process takes place from the zero moment. Normally couples who are looking to make their dream of having a child come true. They have already gone through multiple fertility treatments, and in many cases we also have cases of infertility. On the other hand, surrogacy in India also occurs quite frequently in single women and homosexual couples. What kind of techniques have passed couples that finally opt for surrogate pregnancy? 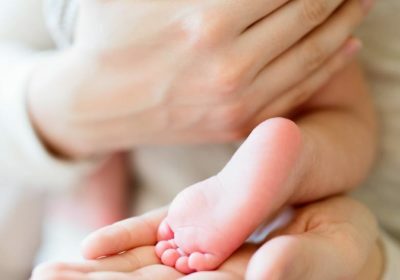 It is quite frequent that couples who finally opt for surrogate pregnancy have gone through fertility treatments, such as in vitro fertilization (IVF), insemination etc. Without any result, in many cases surrogate pregnancy is the only real opportunity to have a child, which is why it is the first and only option they have to make their dream come true. Although it is very possible that if this case is not yours, do not know of its existence, but very often the cases of women who have been born without a uterus, or women who have congenital malformations in the uterus that prevent them from gestating. It is also quite common for women who have undergone a hysterectomy, or women who have various diseases or pathologies that prevent them from becoming pregnant, such as: various heart diseases and diabetes. That is why access to subrogation or surrogate pregnancy, should not be considered as a “whim” or something completely optional. Surrogate pregnancy should be considered as another form of assisted reproduction. What types of subrogation or surrogate pregnancy exist? Traditional surrogacy: This type of surrogate pregnancy occurs when a woman is artificially inseminated with the sperm of a man who wishes to be a father, and in the case of not having useful sperm, a donor will be used. The surrogate mother provides the egg from which the baby will emerge, which makes her the biological mother of the baby. However, once the child has been born, the child must be given to the future parents for adoption. Gestational surrogacy gestation: This type of surrogate pregnancy is the most “common”, when this type of surrogacy is given, the pregnant mother has no genetic link with the baby. The biological mother before pregnancy occurs, will undergo an ovarian stimulation treatment in order to get several ovules. These ovules that are obtained in this way, will be later fertilized with the sperm of your partner. What happens after this point? After this moment, the embryos that have been obtained will be transferred to the uterus of the surrogate mother, who is the person who will carry out the pregnancy. When this type of subrogation is carried out, the biological parents are those who will appear on the birth certificate of the baby, that is. The intentional parents are those who will be registered as parents of the child. This case also occurs in the case that the ovules and / or sperm come from other people than the surrogate mother.